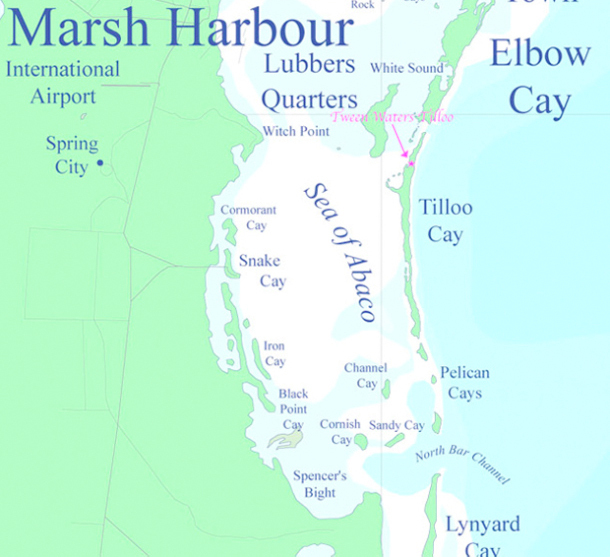 Tween Waters Tilloo – Your Abaco Bahamas Vacation Spot – Come to TWT & get lost! Tween Waters Tilloo is located on the North end of Tilloo Cay, very close to Tilloo Cut with easy access to the ocean for deep sea fishing and surfing. This area is noted for its sport fishing with abundance of Blue Marlin, Dolphin, Wahoo, Tuna, and Just South of Tilloo is great for World Class Bone Fishing. Near by is great snorkeling and diving like Sandy Cay National Underwater Park and Foul Cay. Location, Location, Location and Tilloo Cay has it! We are private but very close to all the action in Hopetown, Guana Cay, White Sound, Lubbers Cay, Little Harbor, and Marsh Harbor. TWT has 2 adorable units; A Cottage and a Bungalow, both with private entrances and their own deep water dock. Secluded from each other but with access to 8 acres of natural habitat with hiking trails. The 2 units can accommodate comfortably 6 adults and 2 children or as few as 2. 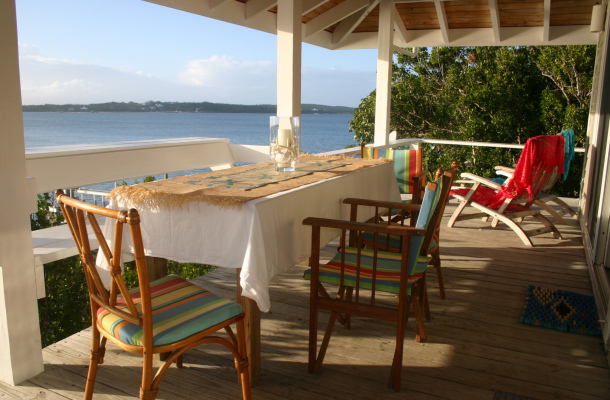 The cottage has 60 ft of glass doors and is directly on the sea of Abaco with 2 bedrooms and 2 bathrooms. The Bungalow is an efficiency with a queen and Bahama beds. It has 10 ft decks surrounding it completely screened. Both homes have central air. TWT has a Point Deck for sunbathing and a private lagoon and live coral reefs for swimming and snorkeling. Being that TWT is so close to the Cut there is great dock fishing and Lobstering in are lagoon. If your house bound you can watch direct TV with HBO, surf the wireless web, and make free phone calls home, rain or shine, busy or relaxed, we have it all!